Our driver can pick you up at the airport, the train station or anywhere you want in Paris and drive you directly to The 24 Hours Of Le Mans. The 24 Hours of Le Mans (French: 24 Heures du Mans) is the world’s oldest active sports car race in endurance racing, held annually since 1923 near the town of Le Mans, France. It is one of the most prestigious automobile races in the world and has been called the “Grand Prix of Endurance and Efficiency”.The event represents one leg of the Triple Crown of Motorsport; other events being the Indianapolis 500 and the Monaco Grand Prix. The race is organized by the Automobile Club de l’Ouest (ACO) and is held on the Circuit de la Sarthe, which contains a mix of closed public roadways and dedicated sections of racing track, in which racing teams must balance the demands of speed with the cars’ ability to run for 24 hours while remaining free of crippling mechanical failure. The brutality of this race can be readily understood by comparing the list of teams who set off from the start line against the roster of cars that survive for the full duration. 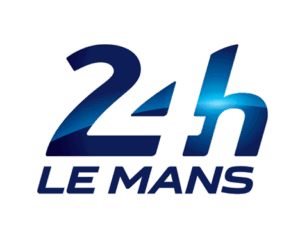 Since 2012, the 24 Hours of Le Mans has been a part of the FIA World Endurance Championship. Because of the decision to run a World Endurance Championship super-season in the period May 2018 to June 2019, the 24 Hours of Le Mans will be run twice in the same season: it will be both the second and the last round of the season. You can now hire a chauffeur for the next The 24 Hours Of Le Mans. MyDriverParis are often in demand for The 24 Hours Of Le Mans, so it pays to book early to secure the car of your choice.